Isn't it just magnificent? 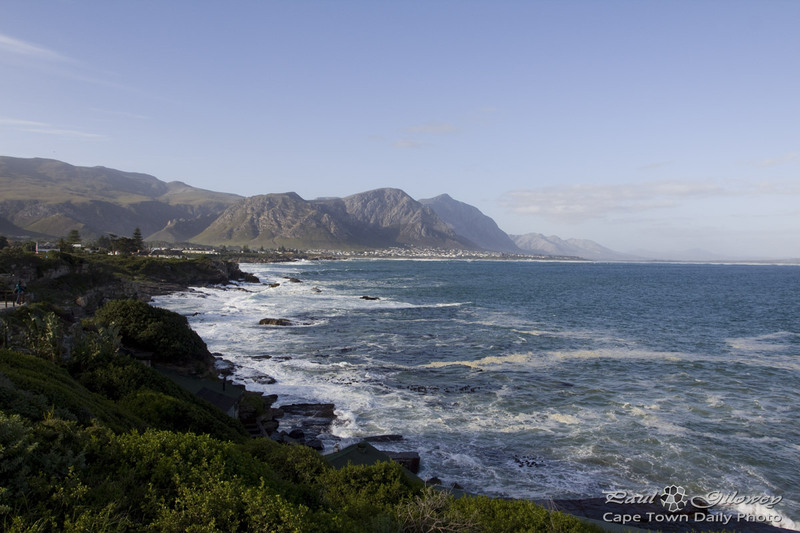 This is the Hermanus coastline, in the direction of Voelklip, an affluent suburb of the popular seaside town. Hermanus, as you possibly know, is very well known for whale-watching in South Africa. Locals, and tourists, gather in large numbers, during whale season - turning the otherwise comfortable and easy-paced seaside town into a bustling and somewhat congested mangling of cars and people. That said, if you're looking for a vibey seaside town, book some weekend time at a hotel or guest house in late September or early October. Posted in General and tagged coastline, hermanus, sea on Thursday, 27 June, 2013 by Paul.